I was struck by the powerful insights set forth in an article I read recently on Bloomberg. The premise is that Donald Trump is the first post-literate President. Prior to the written word, and I would also add subsequently the printing press, information was conveyed orally often in the form of poems and stories since this was the best way for people to remember them. To capture and keep the attention of listeners required flowery language and a compelling story. After the written word could be distributed in volume due to the printing press, deeper thought and facts became more important as what was written could have a long shelf life. In addition, these words could be referred to in order to be used as a reference for other works. Facts could be checked. With the advent of social media, however, we have now gone back to an oral society in some ways. My eyes really opened up when Evan Spiegel, the co-founder of Snapchat, was quoted in the article as saying that the 10,000 pictures your daughter has been taking are not just photos, but they are her actually talking. It is her form of language, and now the language of millions around the world. People are telling their stories and communicating their messages in short bursts with the goal of capturing the eyes and ears of a very distracted and fickle audience. Facts are not as valuable and doing what it takes to get widespread attention from those you are seeking to notice you. All of this brings me to our new President-elect. He clearly communicates for effect and not necessarily to convey a fact-based truth. The feelings he is tapping into may be true but he often uses hyperbole, exaggeration, and untruths to convey to his audience that he understands how they feel and shares the same outrages as they do. 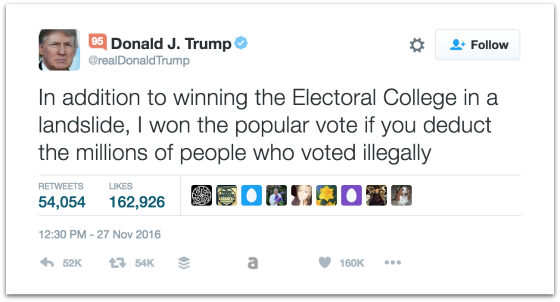 His claim via Twitter that he won the popular vote when factoring in the millions of illegal voters was completely groundless and yet many of those who voted for him have some visceral feeling that there is some truth to it, even if he is exaggerating. Rather than ignoring the futile recount effort by Jill Stein, and possibly Hillary Clinton, and moving on, he brought up this baseless assertion and complete untruth. Rather than criticizing them for the waste of time, money, and distraction, he brought attention to himself (surprise surprise) and opened up questions about the legitimacy of the election he legitimately won. So why do I bring this up? Not only because we are in a brave new world in terms of how to process Trump when he talks but from a practical standpoint it is very difficult to know what to expect from him as well. We recently completed our annual planning meeting and we were going over some of our key assumptions about the operating environment that may impact apartments. When it comes to interest rates, tax policy, and Freddie Mac and Fannie Mae, most of the people in the room turned to me and wanted to know what I thought. Besides being uncomfortable with so many eyes on me at once, I was a little ill at ease given the uncertainties. 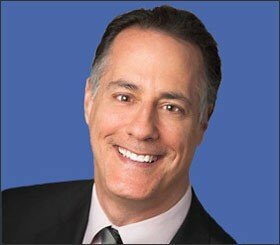 I said that if fiscal policy is very expansionary than a new path has opened up for higher interest rates that have not been there for the last five years or so.I thought that rates would probably be in the 2.50% to 3.00% range for the 10-year Treasury as more economic growth should materialize. On the other hand, I don’t know the politics well enough to have an intuitive feeling for what will happen. I know what has been said by Trump but he is all about cutting deals, doing deals, and negotiating. Core principles are not the overriding objectives for which to negotiate. Everything is on the table to be negotiated. Become aware of the suffering caused by the destruction of life. Become aware of the suffering caused by exploitation, social injustice, stealing, war oppression. Become aware of the suffering caused by sexual misconduct. Become aware of the suffering caused by unmindful speech and the inability to listen to others. Become aware of the suffering caused by unmindful consumption. Naturally, I want to focus on number four as it relates to Donald Trump. I have not been able to quite pinpoint why his communication style and his willingness to say anything to get his way has bothered me so much beyond the normal distaste that I feel as someone who values highly precise speaking. I then realized that I think there should be more respect for the office of the President and he should be careful with the words he chooses because lives can be impacted, international tensions are sown, and financial markets moved. I believe the office calls for thoughtful and reflective individuals that have the inclination and capacity to seek advice on important issues and think through them and then communicate about them when there is something to say and conveyed in a measured, authentic, thoughtful way. But what do I know? Trump ran one of the most unconventional presidential campaigns in history, most everybody counted him out, and here he is, our next President. I will leave you with what Hanh says about the fourth mindfulness training and how I would hope that every person that occupies the Oval Office will adhere to his recommendations with regard to right speech. I’m not the only one trying to figure out how to navigate this brave new world. When you compare the mindful speech of Thich Nhat Hanh with that of Donald Trump who communicates for effect and not necessarily to convey a fact-based truth. Is there room for polar opposites? 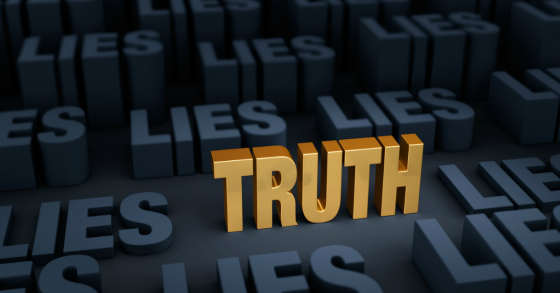 I believe that “Truth” and “Respect” are interdependent; if you lose one you’ll soon lose both. Perhaps we are just in the waiting period for the loss of respect. Hope not as governing without respect will be difficult. I wish our new president success in the economy.